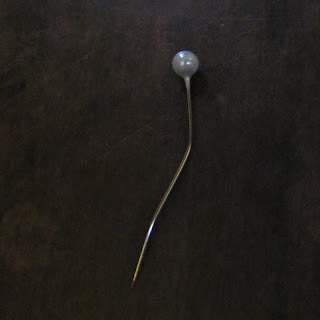 I have been working hard - here is some proof! 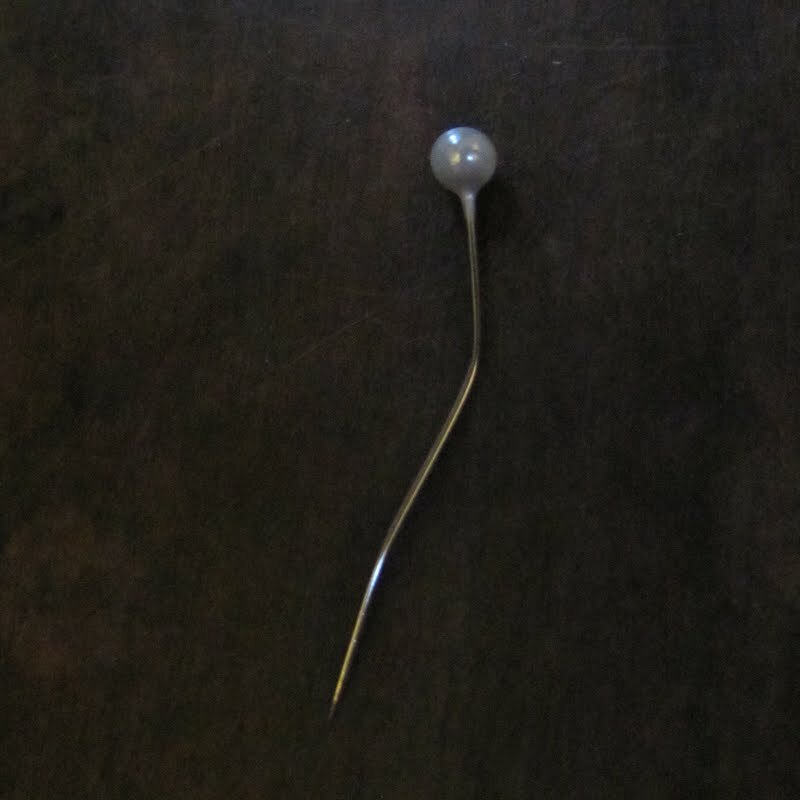 That's what happens to a pin made to do too much - poor thing! The Facilitating was at a Workshop held by The Watershed on King Street, I had great fun and it was quite a success so they will be holding another Upcycle your wardrobe workshop more info here. 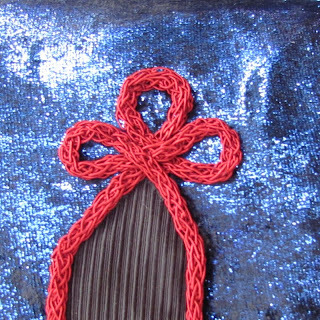 Currently I'm working full-time sewing costumes for some musicals and I can only show you a few peeps. Lots of stitches in that costume and the shiny velvet stuff is not easy to work with. 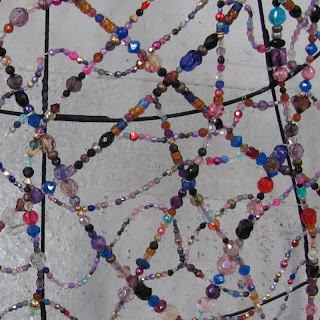 This beaded "cage" was a joint effort - all the major construction was by another - I did the smaller beads which are tiger-tail - lots of organic, wobbling lines to break up the straighter, structural work and wherever one crosses another they are wired together ... Quite a massive thing but very pretty and twinkly. 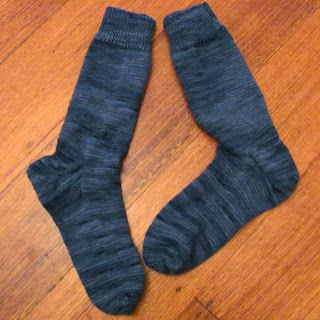 Socks - quite plain and traditional in a nice "denim" yarn - Araucania Ranco Solids. 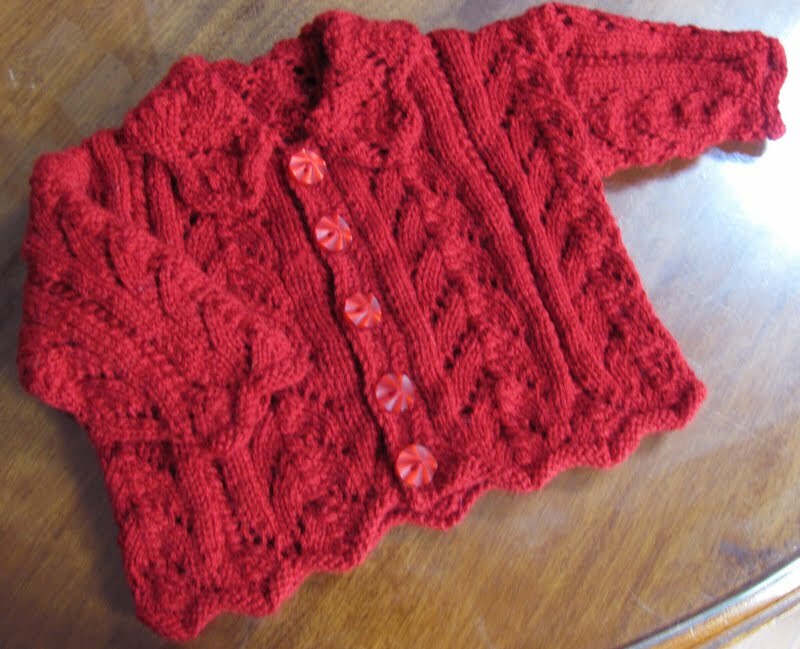 Jacket for a new baby - an old pattern (from the 80's) and nice cheerful red wool from Bendigo Woollen Mills. For my Granddaughter - an interconnecting set of accessories to keep her warm. 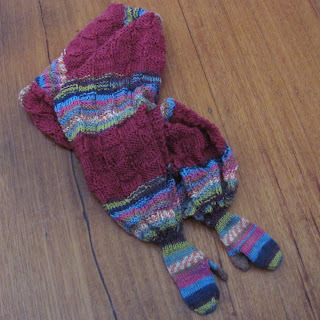 Little people are very apt to lose small items of clothing like mittens & scarves so my idea with these was to make them connected and thus, rather more difficult to lose. The Scarf is long enough to go round then down the arms to her hands - where it ends in the mittens. 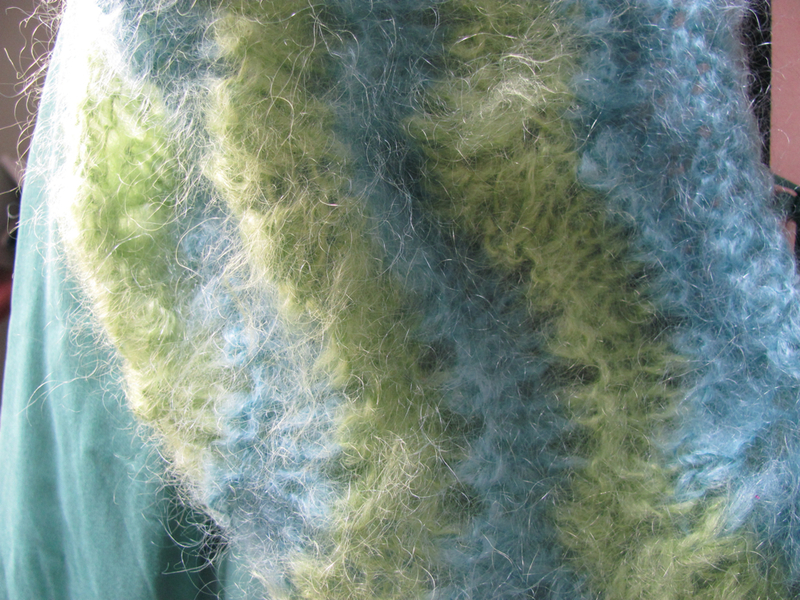 There are button-holes along the edges of the scarf which can be buttoned to the beanie hat. And you can't see the buttons in this picture but they are there in a decorative grouping. 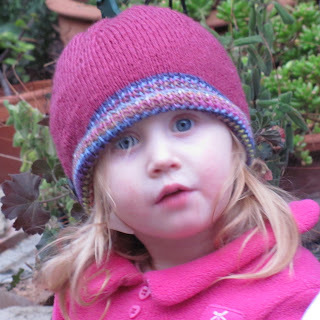 Of course my granddaughter has her own ideas about her clothes - she loved the beanie but insisted on wearing it pulled down almost over her eyes. She wasn't impressed by the scarf - perhaps it is too wide. 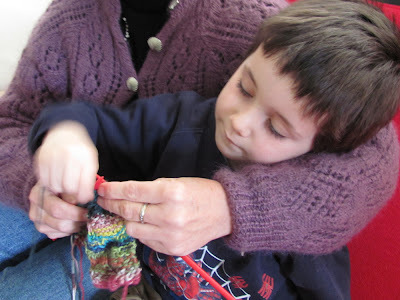 He preferred helping with the variegated yarn sections ... and that yummy yarn is "Knitcol" by Adriafil. I bought it in a lovely little yarn shop / cafe in Nancy, France - a shop utterly crammed to the gunnels with wonderful yarns :-) I bought 2 colourways of the Knitcol - the other will make a similar interconnected set for my grandson. This is the loveliest mohair - very long haired, but quite soft, not wire-like and skritchy; it even has a slight lustre - divine. With the 2 colours I bought I've made myself a simple lace cowl. 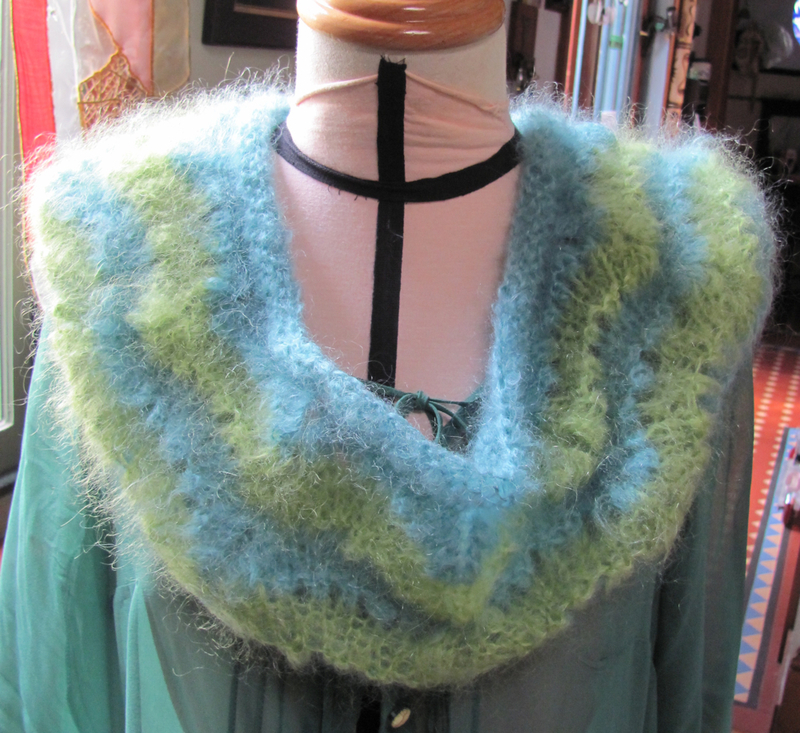 Have I mentioned that I love this mohair? Did I say that these are THE colours of spring in France? The light green of new leaves against a freshly washed sky. Aaaargh can I go back to France? NOW! !